" Kristy McMorlan does a great job of walking us through her life of self-examination." "The story of a life lived is very complex, with events, circumstances and people woven within it, but Kristy McMorlan does a great job of walking us through her life of self-examination, intuitive perspective and investigation into the what’s and who’s that have molded her life. As I write this review, on Mother’s Day 2018, I just wanted to add that despite all of Kristy McMorlan’s mother’s physical, personal and mental issues, what I actually read into certain parts of “Treasures In The Trash” was a woman who, as a mother, shined much brighter than the darkness that had trapped her. To Kristy's mother, and others like her battling all forms of mental illness, I give tribute! Well-done Kristy McMorlan!" "God's Grace in the shadow of adversity." 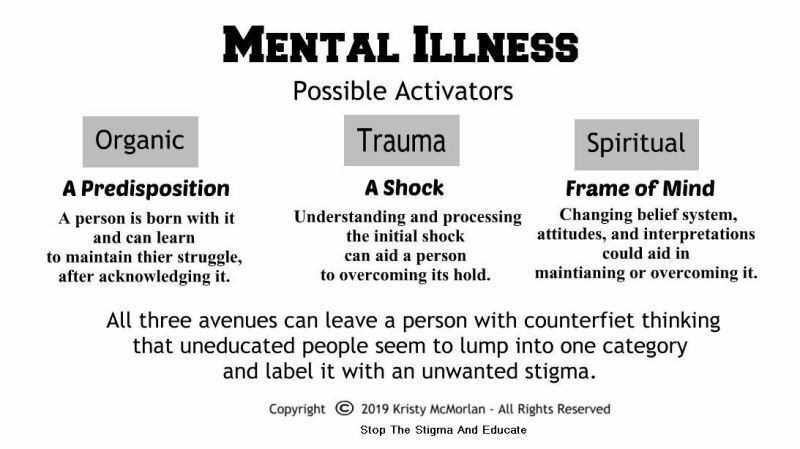 "Kristy survived her childhood upbringing or lack thereof with an alcoholic father and mother with mental health issues, neglect was the norm. She relates the dysfunctional family life to that of the dysfunctional church. Remembering the things she forgot has brought strength and courage and a sense of self awareness that the reader will see unfold as the pages turn. Many things are done in the name of Christ that are not Christ like. God’s Grace comes thru as you will discover in this must read book." "Family hurts, whether church or home, explored with humor and wisdom." "I am one of many believers who have experienced unkindness from fellow church attendees. I spent years ignoring such people because, after all, we are all human and I kept my sights on the cross, not the congregation. That is, until I went through an appalling event at the hands of a worship team member. I went to the church leadership, hoping to spare others from the disrespect and humiliation I had been subjected to. o my surprise, the predator was protected and I was blamed and shamed. This book just resonates with me. The author discusses her own dysfunctional childhood and observes parallels between her own church family and her biological family. Even more importantly, she shares what she learned from a journey towards healing. Her childhood story is sad and difficult with an alcoholic father and a mother who struggled with mental health issues, yet she presents it with humor and compassion, teaching forgiveness and grace. I highly recommend this book for any believer in Christ, whether the walking wounded or leadership. It offers many tools for today's church." An eye-opening book! Powerfully educating in outlining what non-physical abuse is, looks like, and how to negotiate through it. The control and power plays that are the underlying issue frequently go unidentified. I learned, the fundamental manipulations were abusive. Who knew that the abuser received a payoff and this cycle could stop? I didn’t. 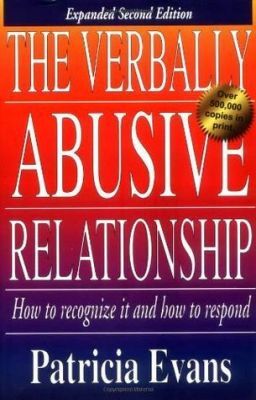 Her quote; “Most verbal abusers are filled with inner tension, which they periodically and unpredictably release with angry outbursts directed at their partners” nailed it. Ignorance and avoidance don’t aid the situation, it’ll only prolong it. I never considered much of what Patricia Evans suggests as abuse. I found her book captivating and educational and would highly recommend it to people who are struggling and need help in identifying problematic areas of concern. The only drawback, in my opinion, was this book is a secular; without any Biblical references. Joanna's Weaver's thoughts about the "Three Deadly Ds of Destruction" AKA: Doubt, Discouragement, and Distraction were eye opening! She explained how as women we all can struggle with overthinking and comparing our value and contributions. This was a must read from an abuse survivors perspective; I learned better self-dialogue and that our attitudes as servants does matter. I’ve recommended this book multiple times! This book has influenced and impacted me positively and believe it is a must read. I gave it a five star rating. 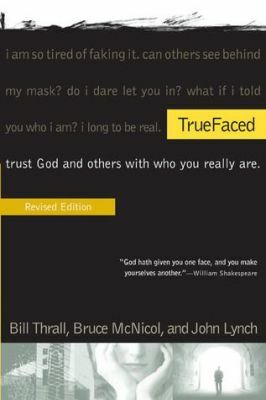 Powerfully written, "TrueFaced' impacted my personal life and promoted change during a time I felt uncertain in many aspects of my personal journey. Each time I've read this book I gained more of a sense of who I am as a victim as it peeled away those self-confines, while I became True to who I truly am. It aided me in my personal journey into becoming an abuse survivor! This book changed my perspective of pleasing my way into acceptance: With God and others; I began to simply trust God with who I am as His child. It’s a must read, for all who are attempting to figure out how they fit into a life of insecurity and uncertainty, because of past abuse. For those who want more, and seek to overcome a performance attitude. 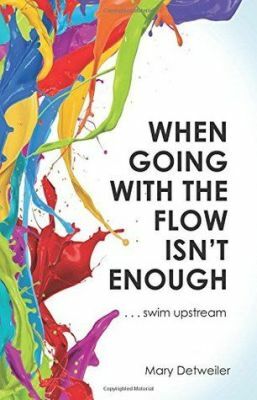 ​​Mary Detweiler’s book, “When Going with The Flow Isn’t Enough…swim upstream” wasn’t what I expected. The topic grabbed my interest: Gender Equality within The Church and I LOVED her statement: “Fighting for gender equality in the church is not about women’s rights or affirmation. It is about spiritual liberation.” I think the topic is spot on; but, the execution could have used more of a personal aspect to incite and inspire a following. Who doesn’t like to feel connected? Mary presented very little personal background and aided in my personal feelings of being bogged down with other people’s details. I received an interesting history lesson and felt It was an informative approach, without much entertainment and personal testimony; I’ve read two of her books and still know very little about her. In my opinion, she validates herself; instead, of allowing the reader to draw their own suppositions. She self-identifies as a whistleblower but could be perceives as a crusader; I desired to read how she’s overcame Gender Inequality. I looked for evidence, in her life, that she was able to gain equality to motivate the reader to also seek it. Mary recurrently stated her deductions but didn’t leave room for me to have my own conclusions; nonetheless, I found I was frequently expected to fill in the blanks. There appeared to be too many absolutes, and I struggle with people who tell me how I should feel and what I should do. But, that’s my baggage. I additionally concluded Mary feels all churches struggle with gender inequality, which isn’t true; I was shunned and now am embraced. I also was mystified why a book that was written to awaken women to fight for Gender Equality, within The Church, had a huge segment on the Disciple Peter? He’s a man. This book didn’t make my favorites list, because I wanted it to be a book that was hard to put down and impacted my life. I wanted it to change my point of view. I desired this book to engage me and linger in my thoughts. I hoped it would encourage and inspire me. It just didn’t. Perhaps it’s the style? She writes in a lecturer format and it’s not my genre; with the massive number of other people’s quotes the book lacked connection for me. I’ve read many self-help books and enjoy it immensely when the author shares more deeply from their personal walk. That’s my preference, it might not be others. If you like history and reading other people's comeback kid stories, not necessarily Mary’s, then I would recommend this book. 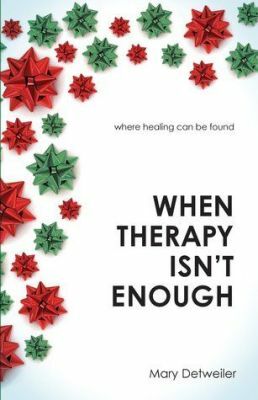 I think Mary Detweiler’s book, “When Therapy Isn’t enough: Where Healing Can be Found” is: Appealing in how she’s relating to the reader as a therapeutic family counselor practitioner, with her own baggage. 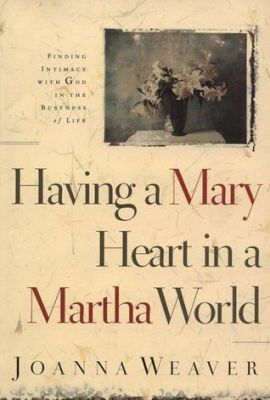 Mary Detweiler’s book was informative, in a self-care way. Although, I hoped her book would provide more for me personally to connect to; I never struggled with any chemical addiction and had to read cautiously to discover what her addiction was, which had brought her into a recovery program. I do like her perspectives on how Christians deal with emotional pain, when they don’t want to deal with it. How she personalized shame, which didn’t belong to her. Although, some topics she addressed are tired and visited frequently; however, would be a good read for a new believer struggling with addiction. Her book used a general, educational, and a logical approach to recovery. Even though, I couldn’t find one central person to connect to; her book, in my perspective, read like a text book. It’s not my preferred style. When I read how Mary’s childhood church experiences impacted her thought train negatively I found that interesting. Because, my former church experiences impacted me negatively also. However, as a Deacon in my current Church, I now know things I didn’t know when I encountered my own Church Hurt, and in good conscience I must also share: I don’t agree with everything she states in her book. I was also disturbed about what she says that “all” counselors’ think about their clients. I pondered if that attitude could also be found in people who work in “people caring” professions such as: Pastors? I agree men can lead with fear and intimidation to obtain obedience, while God leads with Grace to obtain greatness. But felt, she missed the point that parents set rules for the betterment of their child. She’s correct that some church leaders’ rule with a heavy hand, instead of a loving one. I’ve observed, occasionally, the person receiving correction doesn’t want to, or can’t, understand. Because of an undetermined mental health struggle. In that case, it can feel like a heavy hand when it’s not meant to. Both sides of a conflict cannot always be openly shared. There’s a frequently unidentified obstacles lurking in the shadows, and people will have to be able to trust their leadership. Just as a child should be able to trust their parent. Although, there certainly is times when that trust is abused. I agree with her statements: "It would be a mistake to assume that because someone holds a leadership position in a church he or she is a spiritual leader." and “New covenant churches teach relationship. Old covenant churches teach religion.” Chapter 10 The Body of Christ. Despite a very slow start, Mary finishes in conviction; not all church communities are equal in their practice of faith and Walk. I would give her book a 2.5 star, but one wasn’t offered.